Havant & South Downs College (HSDC) Music students came together to showcase and celebrate their talents at the A Level Music Showcase on Wednesday 16 January. The evening commended our students’ success and outstanding musical talent. 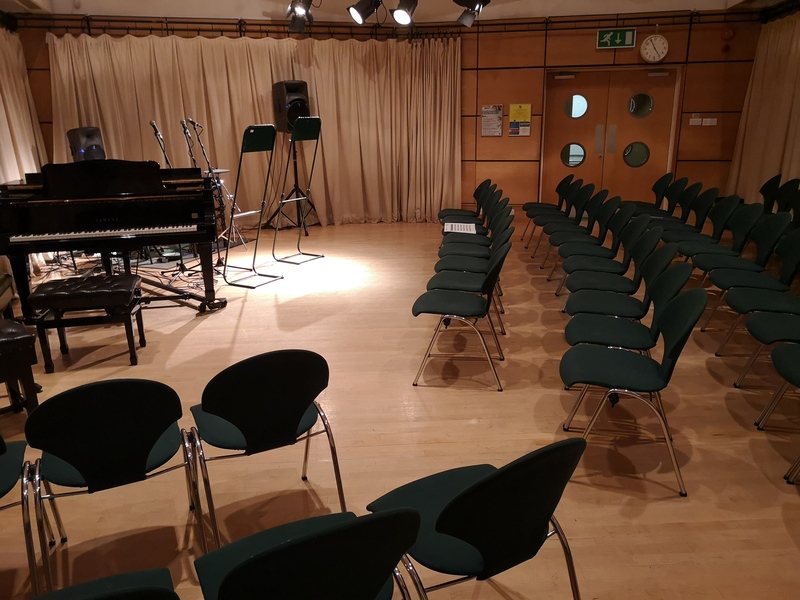 It also offered guests the opportunity to tour the facilities and mingle with music lecturers, whilst giving prospective students and parents an insight into studying Music at HSDC. A Level Music Lecturer, John Shooter, said: “We run an A Level Music course and we have had tremendous success over the years with many of our students going onto really prestigious music colleges and universities. We want to highlight those successes and the facilities we have here. “One of the nice things about A level Music is that you can perform in any instrument, tonight we have piano, cornet, trumpet, flute, violin, but we also have some singers and some hip hop. Performances from the evening included student Jimmy Alderson performing ‘The Sunken Cathedral’ by Debussy on the Piano and Oliver Cheng performing ‘Black Eyes’ by Trad on the Violin. In the past five years, students have progressed to Music colleges and Universities including: Trinity College of Music Oxford University, Surrey University, Royal Welsh College of Music, Royal Birmingham Conservatoire, Leeds College of Music, Royal Scottish Conservatoire and Bristol University. Deputy Principal, Richard Barlow, said: “It has been wonderful to welcome the many students who will be studying music with us in September to our bespoke showcase event this evening. “Our extremely talented staff work at the highest levels of the industry, and the talent on display from our current students this evening was truly amazing. It has been a real testament to their abilities and the support they have received from their families and lecturers.